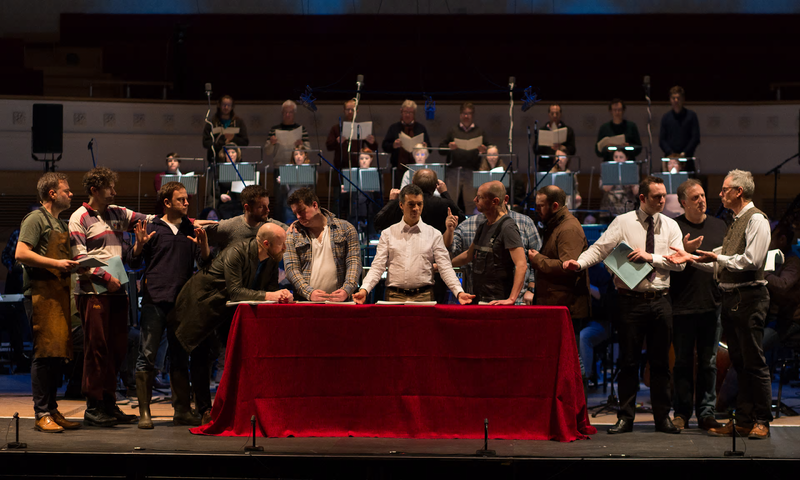 For those of us who felt frustrated at not being able to see the semi-staged performance of Sir Harrison Birtwistle's The Last Supper in Glasgow last week (14 January 2017), then fear not. There is a chance to hear the work on BBC Radio Three on Saturday 28 January 2017, and the programme will then be available from BBC iPlayer for 30 days. The opera was originally commissioned by Glyndebourne, and the Staatsoper Berlin, and the performance in Glasgow was the first UK performance of the work since the production at Glyndebourne. Conductor Martyn Brabbins (new musical director of English National Opera) conducts the BBC Scottish Symphony Orchestra with a strong cast including Roderick Williams as Christ and Susan Bickley as Ghost (the only female singer in the cast). The opera is described as dramatic tableaux, and rather than dramatic action the piece relies on Birtwistle's music. We won't have the visuals of the semi-staging, but there will be a lot to listen to and digest. (See the review of the original performance on The Guardian). There is a lovely interview between Sir Harrison Birtwistle and Martyn Brabbins on the BBC website. I love Birtwistle's dead-pan manner when talking about his complex music, he comments that the subject of The Last Supper attracted him because he likes solving problems on stage, and the piece has problems such as it is for a lot of men, how to deal with the last supper with the crucifixion being on stage and there is no obvious drama, and he has to tease out the dramatic implications. See BBC iPlayer for details.